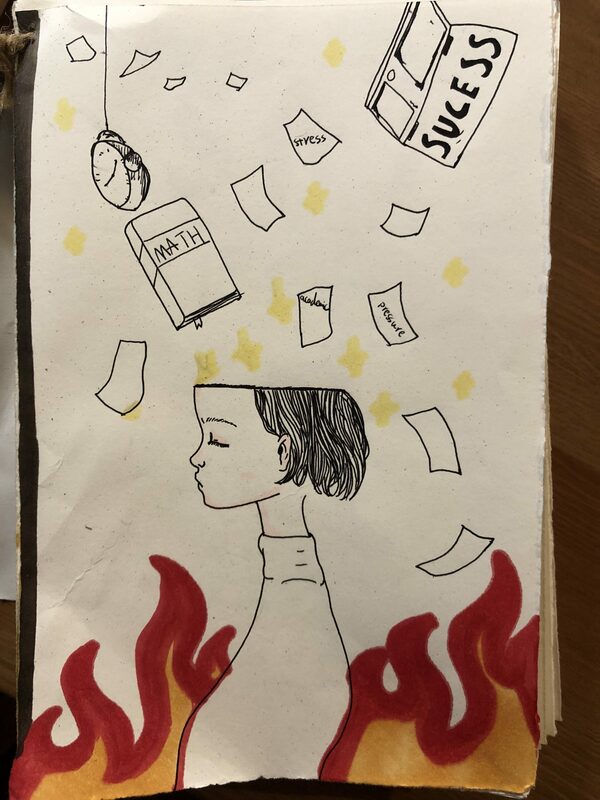 This is the cover of my book. 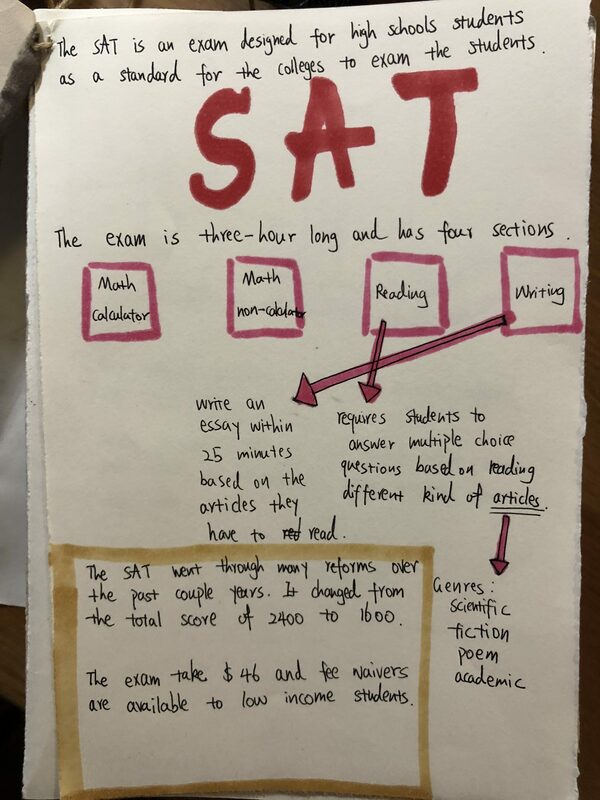 For my book, I want to introduce to people how SAT exam was evolved and what advantage and disadvantage the exam has. 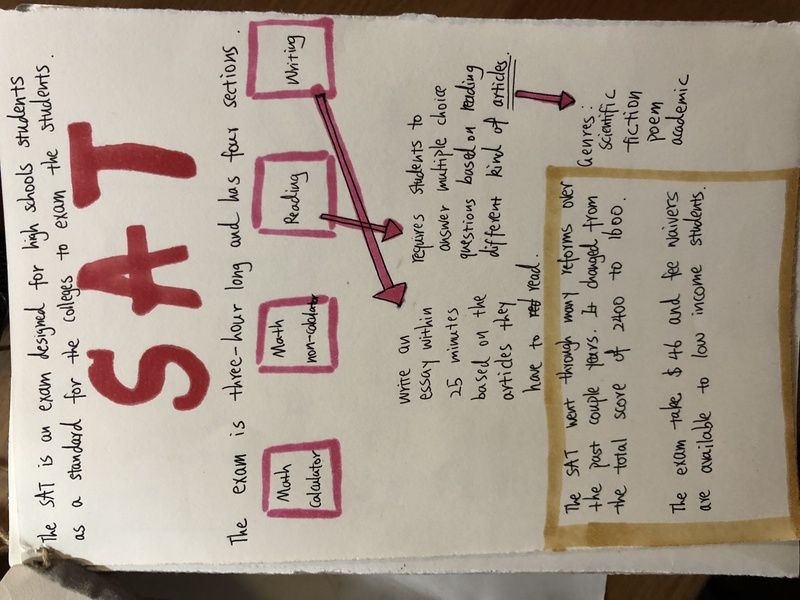 It shows how students are stressed and overwhelmed by the amount of pressure and work they get from preparing for SAT. 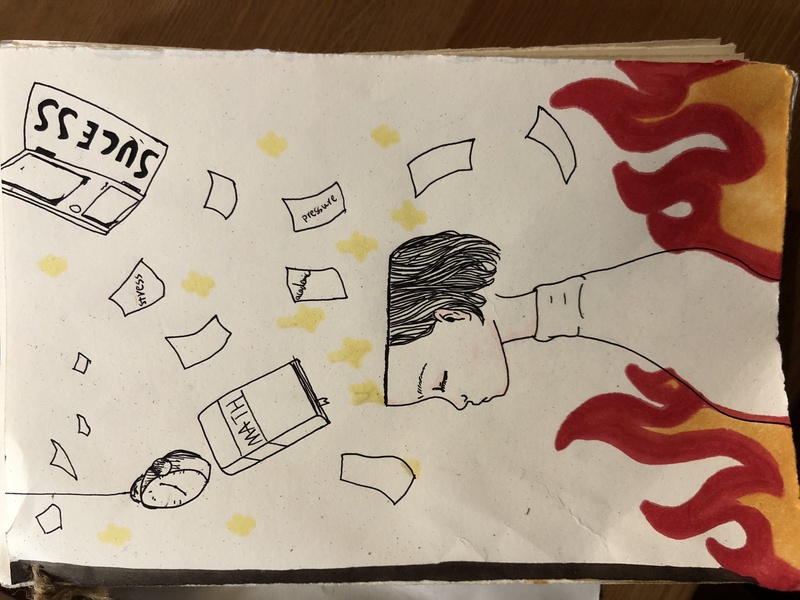 This is the first page of my codex. 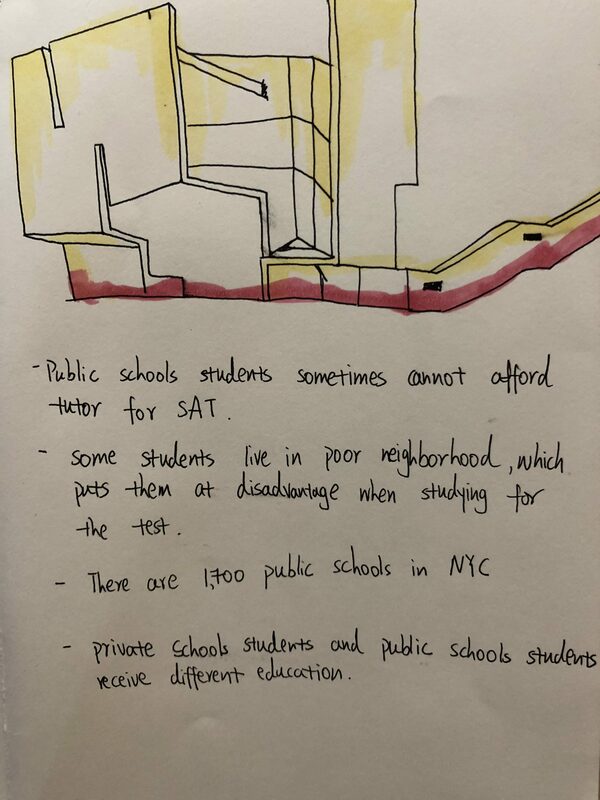 This is the second page of my codex. 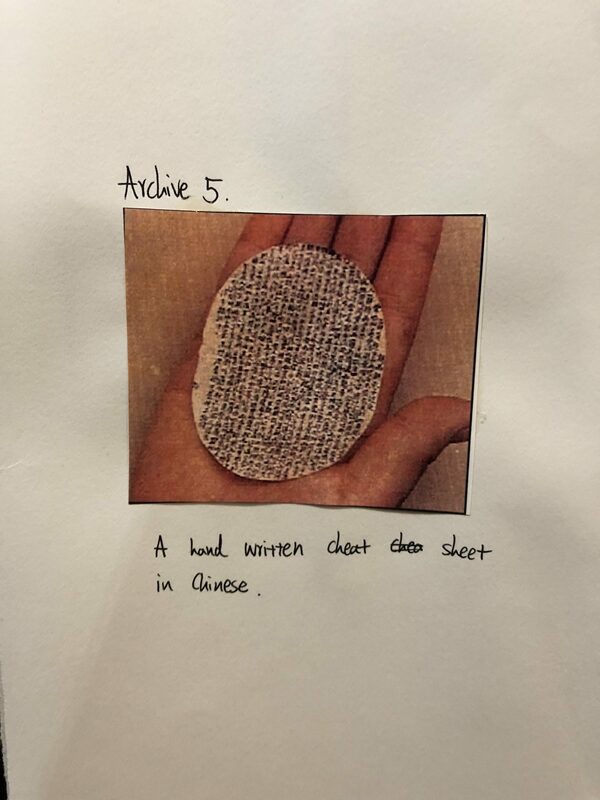 This is an interesting picture of an ancient cheat sheet from ancient Chinese exam. 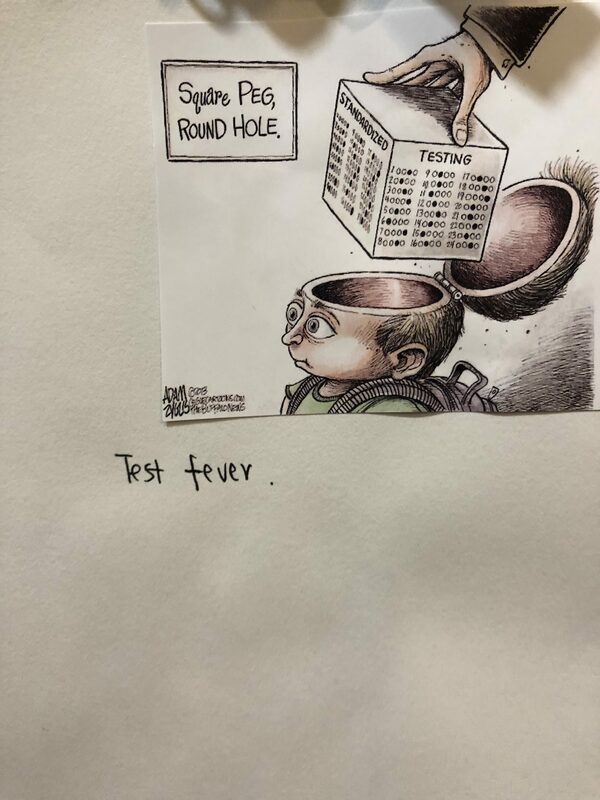 This is a cartoon that shows how tests have transformed students into a machine like children and restrain their creativity and imagination. 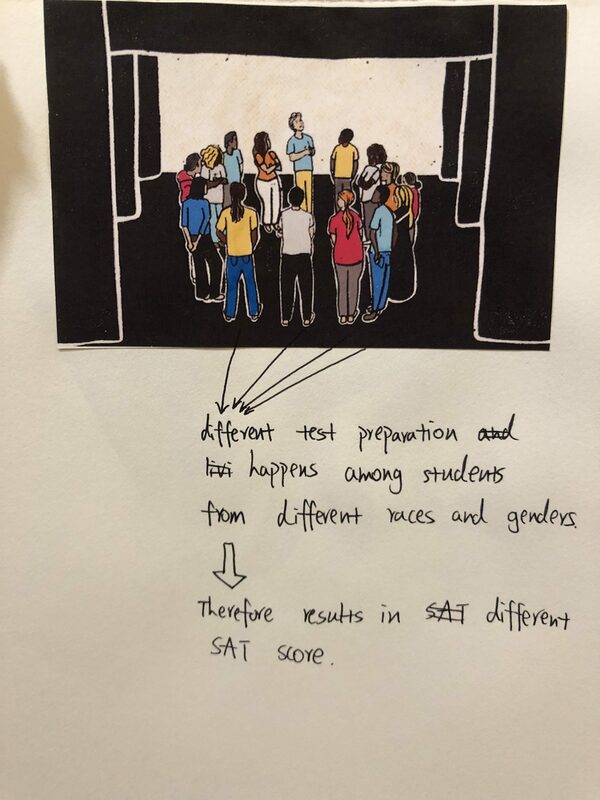 This is a picture that shows people who take the SAT have the different background including races, economic backgrounds, genders and so on.